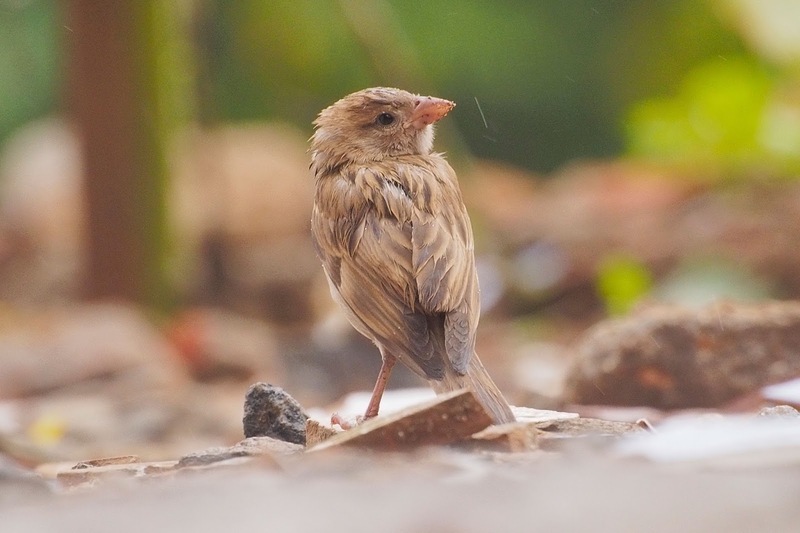 On the eve of the World House Sparrow Day, which is being observed annually on March 20, the Thiruvananthapuram-based NGO, Travancore Nature History Society (TNHS) made a numerical estimate of the bird with an exhaustive survey carried out in its known traditional pockets in the city. Members of the Society scouted these locations spread over the nook and corner of the city and its suburbs. Though the abstract number at many locations has shown a fall over and above the figures available for the last couple of years, its subsistence in these locations was found to be on a healthy footing. The Society members were in for a shock when K.B.Sanjayan, Co-ordinator of TNHS could count only 17 birds on March 12 at Connemara Market in Palayam, considered to be the traditional bastion of the bird in the city.Again when a repeat count was made on March 15, 22 birds could be spotted. Though as many as 20 bird-nests installed by different groups including State Forest and Wildlife department in previous years are still in existence in the market premises, it was observed that only half of them are being used by the birds now, probably due to dilapidation of the nests. The lesser number of birds this year in spite of good number of bird boxes and assured upkeep and vigil by a select group of head load workers in the market is arguably due to the effect of climate change and rise in temperature. 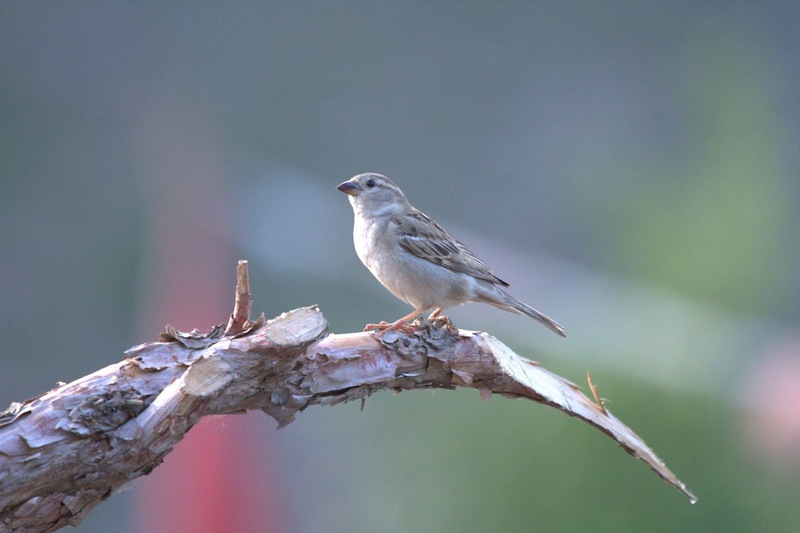 Connemara market has a reputation of having recorded 101 sparrows in 2013 and 148 numbers in 2012 and in 2017 the figure stood at a comfortable 35. Birds were also seen perching on the Indian cherry trees lining the four-wheeler parking slot, on the ceiling of Verandhas of Saphalyam complex and overhead electric wires. The Badham tree standing beside the underpass in the eastern side of the market is a favourite perching spot for them in mid-day. The western side of the city provided a mixed scenario as far as the sparrows were concerned. In Sulaiman street, two different teams combed on two different days. 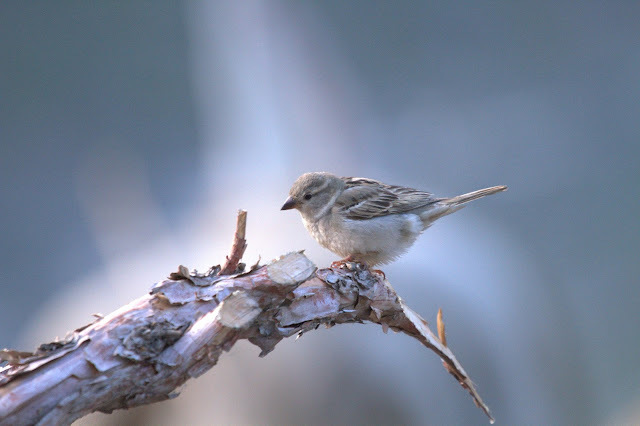 But the region which counted for 25 sparrows in 2017, did not come up with an bird on both days. This turned out to be the greatest debacle of the year for the sparrow watchers. 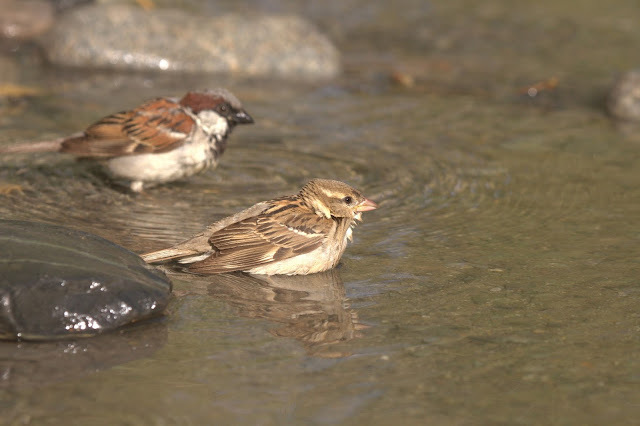 On March 16, Shankhummugham was combed for the presence of House Sparrows. It is one place which shows marked increase in the congregation of tourists and holiday seekers with attendant burgeoning of commercial activity. It was a day after the low-pressure warnings were lifted. The team could locate no house sparrow here, whereas in 2017 five individual birds were counted. In front of the Sagarakanyaka Park and Muthuchippy park, however, as many as 12 Paddyfield pipits were noticed, picking up food from the ground, under the gruelling sun. The Vettucaud region continued to be a strong house sparrow pocket this year as well. The sightings there started with three birds on overhead wires near the Christraja Book stall and Carmel book stall near the Bishop’s house. Birds were seen frequenting the air holes of adjacent building housing ATM of Catholic Syrian Bank. A thick population of 14 birds were located in front of ration shop no ARD 169, housed in the Christuraja community centre. Mr Gilbert, who is running the ration shop is an avid sparrow saviour over the years. When K.B.Sanjayan met him on March 16 in his shop, he was very enthusiastic to give valuable inputs about the birds in his premises.To be frank, it was only on this shop in the whole of the city to have noticed the birds making bold intrusions into the shop and carrying away with beakfull of rice grains, the well known age old antics of this particular bird. The sales girl in the shop made a bet to claim that in the evenings up to 20 birds would be frolicking in their shop. Gilbert, who is now under Ayurvedic treatment for an early bout of Parkinson disease, showed the crevices overhead his shop which House Sparrows and Blue Rock Pigeons are co-nesting for many years. Mr Markose who is running the adjacent St George Shop selling coffins among other things, also endorsed the same opinion. He also put up the claim that in the evenings more than 20 birds would be perching in the copper pod trees (Charakonna) standing in front of his shop. These unknown saviours of the bird are putting in silent service and it is a pity that these real nature lovers are not rewarded by the city corporation or the parish community either. 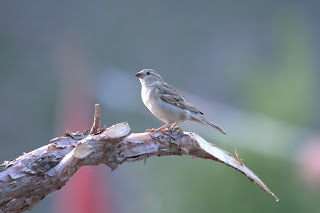 A few sparrows are also seen associated with the buildings housing Muthut Finance, Muthut Fin Corp and M.R Paints and Hardwares, all situated to a little north. As in the previous years the northern stretch of the city presented a complete absence of the bird. K.Jayakumar and Dr S Kalesh who scoured the belt from Ulloor to Kazhakuttam on 17th March could not encounter a single pair. The effort took them to commercial spaces of Pongumoodu, Sreekariyam, Kariyavattom and old kazhakuttm Jn. Another team that travelled from Vellayambalam, Sasthamangalam, Vattiyoorkvu, Perurkada, Kudappanakunnu, Mannanthala, Nalanchira , Paruthipara to Kesavadasapuram also met with disappointment as no sparrow was spotted. The Kedaram shopping complex at Kesavadasapuram provided an ideal sparrow dwelling setting, but no initiative from any stakeholder is coming in this direction. Dr S Kalesh and K Jayakumar also met with two pirs of sparrows within the Medical College Hospital premises. Coming to the southern side, no House Sparrows were found in the Pazhvangadi Maha Ganapathy temple as well as surrounding premises. Until about 2015, they were found frolicking on the crevices of lords, feet and robes, peacock tail. For the last two years they have completely deserted the area, the reasons for which have to be investigated seriously. Birdwatchers among the hundreds of devotees should make a serious note of this conundrum. Surrounding areas of Padmanabha Swamy temple like Padmatheertham, Abhedasramam, Sree Padham temple etc also do not harbour these birds now. At the environs surrounding Villuamangalam temple and also at the Vazhapilliayyappa temple, the sparrow watchers were in for disappointment, despite a ration shop selling rice and wheat in open sacks. Shri M Ramesh, a senior member rode upto Vizhinjam, to assess the present status of sparrows there. Though a fea sparrow pairs were surviving at the junction, Ramesh could not encounter any this year. As in previous years, K Baiju, senior member of TNHS, took the count of the bird in Nedumangad area on March 10. But he could spot only four birds, where as in 2017 nine birds were counted. Other members who joined the sparrow count included M Manoj, S Ajith and Afzal. A 4-day rapid Biodiversity Assessment of Munnar Wildlife division concluded here with interesting findings. The survey was conducted as a joint exercise of Munnar Wildlife Division of Kerala forests and Wildlife department and experts from various NGO’s and Institutes in southern India. 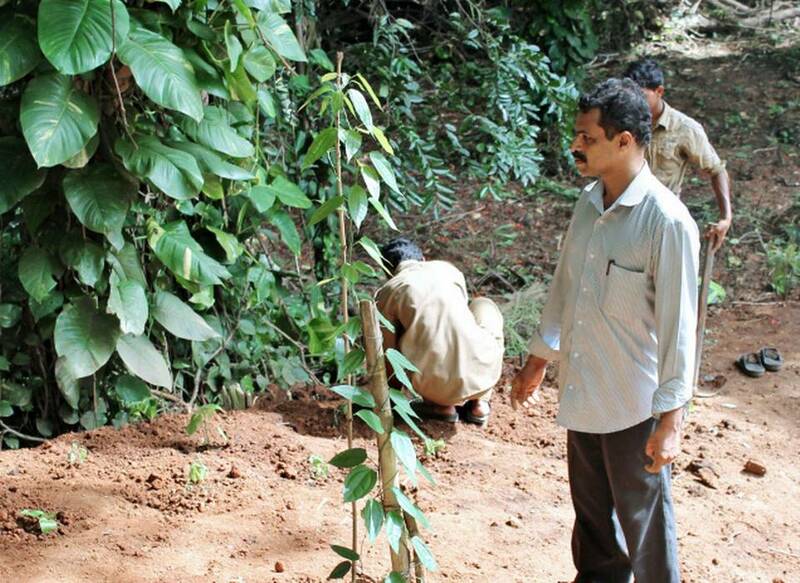 The survey was conducted at in all the National Parks and Wildlife Sanctuaries of the Munnar landscape. Around 120 volunteers and almost 60 Forest staff participated in the 4 day programme. The survey was attended by volunteers from Travancore Nature History Society (TNHS)Trivandrum, KFRI Peechi, ZSI Calicut, Kerala Agricultual University, Ecologists and staff from Kerala Forest Department, Birders Sans Borders Thrissur, Green Roots Alleppy, Ferns Waynad, MNHS Calicut, SEEK Kannur, BBC Bangalore, TNBS Tamil Nadu, Rajapalayam Butterfly Club , Wynter-Blyth Association, Centre For Wildlife Studies Wayanad, KVASU Wayand, and Pondicherry University. This evening, look up and you will see Globe Skimmer Dragonflies (Pantala flavescens), famous in Kerala by the name ‘Onathumbi’, heading towards the south or south-western direction. A city-based group of nature watchers has started monitoring the flight of the Globe Skimmer, believed to be the longest migration trail of any insect. And guess where it is all headed to? Africa. Members of the group, Travancore Natural History Society (TNHS), are observing the phenomenon with interest. 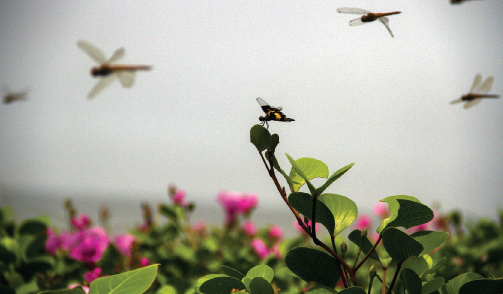 Eldho Pachilakadan, a TNHS member, was the first to notice a large aggregation of dragonflies. 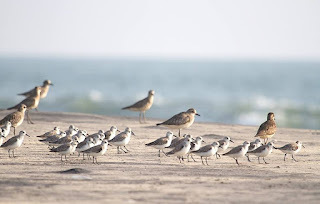 Having spotted it at a point between Cherai and Njarakkal coasts in Ernakulam district, he followed the trail. There were more aggregations on the way, apart from small clusters, confirming that the migration had begun. After journeying thousands of miles across mountains, vales and rivers, migratory birds have flocked to Kerala’s warm climes once again, much ahead of schedule. 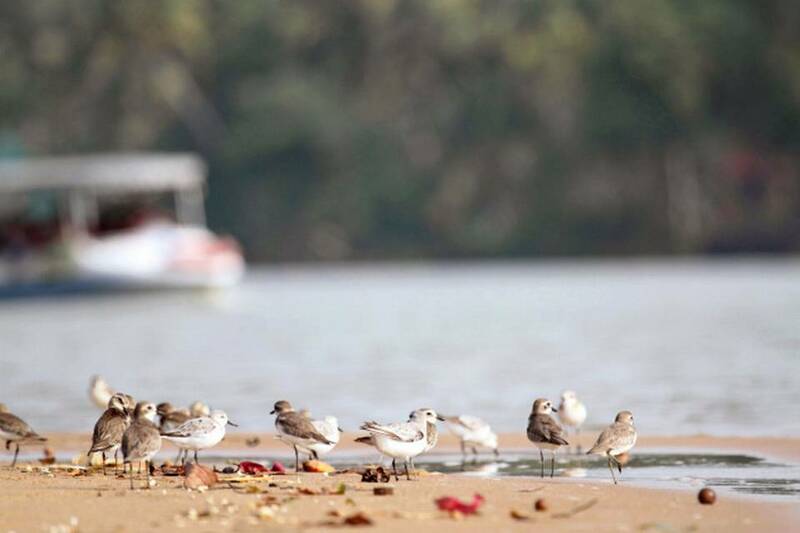 Thanks to its long coastline, extensive wetlands and leafy forests, the State is an ideal winter home for these birds. 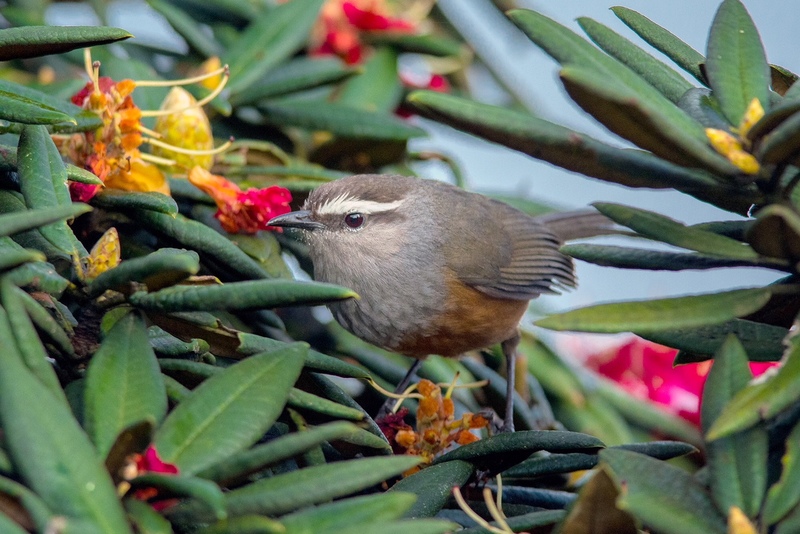 Local birding enthusiasts, who have been tracking the movement of the birds for several seasons now, checklist destinations nearby where you can spot the birds in plenty this year. 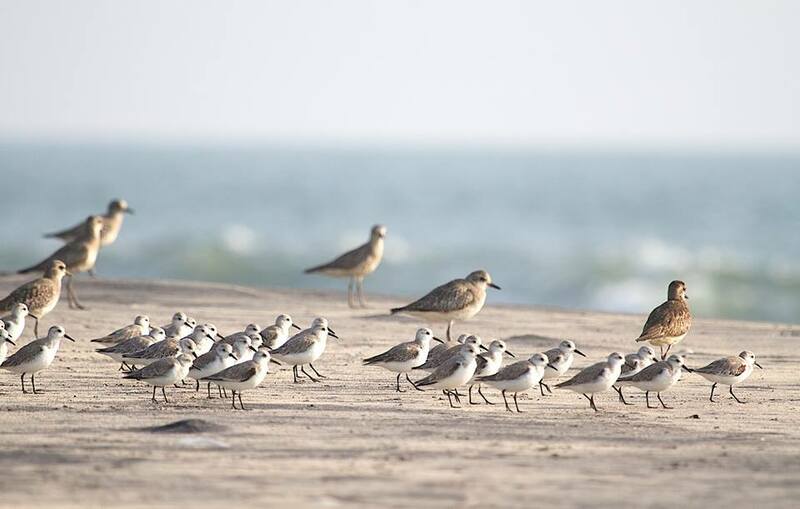 Migrant birds are here already, says a group of bird watchers from the city.The migratory birds usually arrive around December, but the bird enthusiasts from Travancore Natural History Society (TNHS) say that they have already spotted some visitors in Poovar and Veli as early as October. 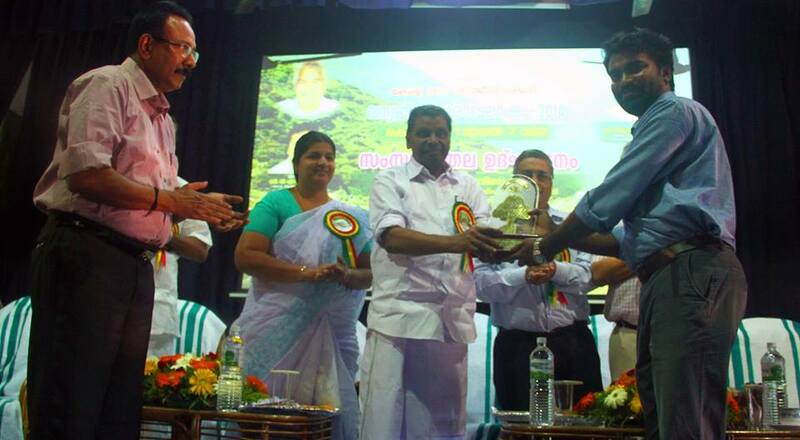 The memento: Presented by the Honorable Minster of Forests and Environment of Kerala,to TNHS for organizing the Wildlife Photography exhibition at Forest Office Complex in Trivandrum. The Red Pierrot warmed up quickly to its new ‘hosts.’ This striking little butterfly fluttered around the new plants in the Thiruvananthapuram Zoo, brought here only a couple of hours ago on Monday morning. R. Baiju watched, almost endearingly, as the unusual butterfly species finally adopted a leaf as its home, or egg-laying spot, even before the plants were taken out of their bags and planted into the soil. He is a Hindi teacher of a government upper primary school in Palode but he was on leave on Monday to engage in a serious hobby of his. Mr. Baiju is one of the more active members of the Travancore Natural History Society (TNHS), the group that is supporting the city zoo in its endeavour to transform the neglected ‘Butterfly Park’ on its premises. K. Manoj inhabits two worlds — that of ants and humans. 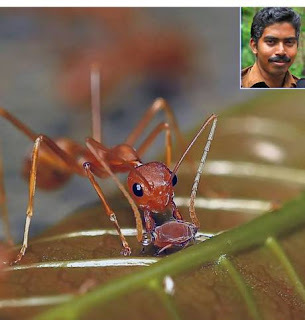 A bus repairman by profession, the 27-year-old Kerala State Road Transport Corporation (KSRTC) employee is a self-taught amateur natural historian whose passion is to observe and record the lives of ants. It is not unusual for his neighbours at Vembayam to find the recreational myrmecologist scrambling over ground on all fours to document the lives of ants with his digital camera.At his father’s tea shop, Manoj would frown if somebody stopped his favourite black ants from making a beeline for the sugar jar. He has innumerable ‘ant stories’ to regale listeners. A favourite narrative of his is the one on weaver ants, the aggressive red ones which knit leaves to make large nests on mango trees.“The weavers grow small insects in their colonies to harvest the nutrient-rich nectar they produce. It is like us humans keeping cows for milk,” he tells his audience. Contents copyright TNHS, contact info.tnhs@gmail.com. Powered by Blogger.